AN Irishman who left his job as a bank manager to set up a successful recycling business in Britain has been nominated for three prestigious awards. Brendan O’Shea, from south west Kerry, originally moved to London to work in commercial banking for Royal Bank of Scotland after four years studying Business Management in Dublin. He spent four years in Regent Street helping secure loans as high as £30million for wealthy property developers, but despite doing well for himself, he knew the career wasn’t for him. 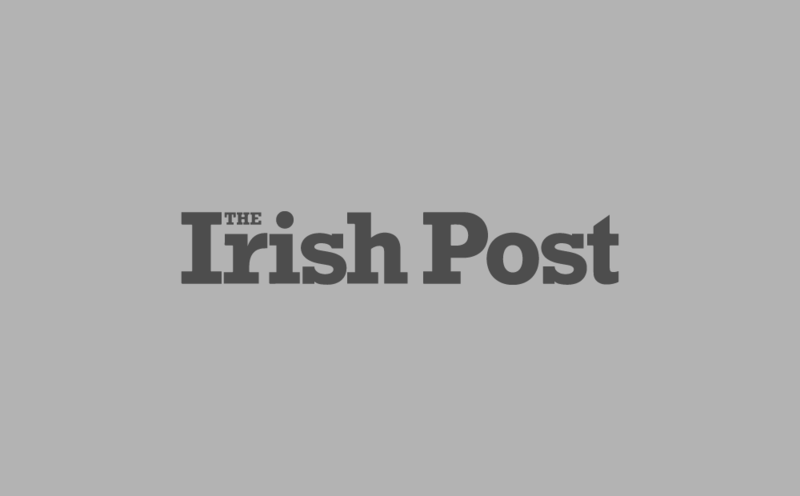 “I had a good time as a banker but what I really wanted to do was something different to help the environment,” Brendan told The Irish Post. “My colleagues thought I was mad to leave such a lucrative job but I spotted a gap in the market to tidy up the image of waste removal over here. Six months on, Brendan’s eco-friendly waste recycling service Just Clear moves from strength to strength, while many of his old colleagues have struggled in the aftermath of the financial crisis. The firm’s ethos is to provide an eco-friendly alternative to waste removal – with zero landfill waste. 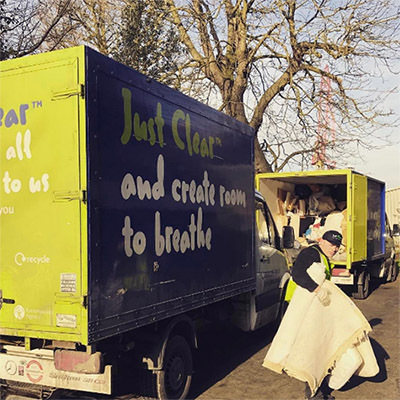 Just Clear are creative in their recycling methods, offering reusable items to charity shops and bedding to the homeless. With bases from Birmingham to Blackpool and Cheshire to London, Brendan says those innovative methods have helped people to start trusting ‘the man in the van’ once more. 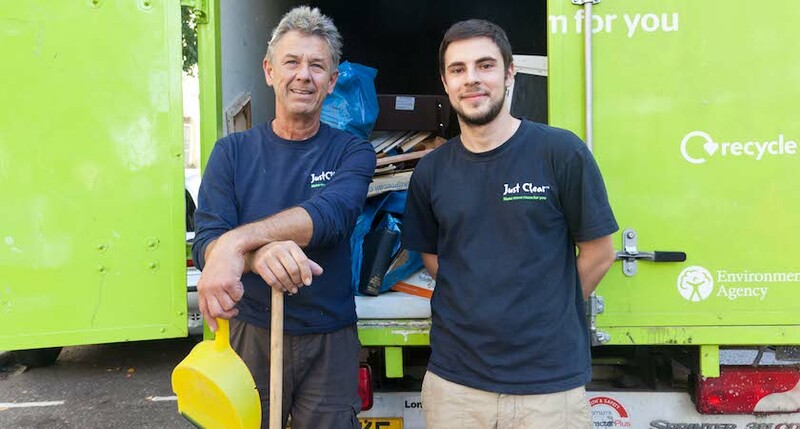 “When I began Just Clear I had only the one truck and we cleared up a small amount of waste from flats, houses and apartments, but I was determined to do it right,” he said. “Now we have 18 trucks each with their own crew operating nationwide, recycling everything from household items through to commercial waste. Just Clear has been shortlisted by the National Recycling Awards 2017 for Efficiency Initiative of the Year and Team of the Year 2017. They will be up against renowned waste removal companies such as London Waste and Shanks Waste Management, as well as widely recognised Irish firm The Clancy Group. The thriving business is also up for Circular Economy Project of the Year at the BusinessGreen Leaders Awards 2017 – an award they already won last year. “An awful lot of the Irish people who came over here in the 1950s and 1960s set up skip companies – they did well for themselves – but it’s 2017 now and it’s time to do things differently,” said Brendan. “You take any element of a house or office and I can make a commodity out of it. There’s so much money to be made in recycling but people are still tipping into holes in the ground all over the place.